Another name new to Kent Green Hop Beer Fortnight this year is Pig and Porter Brewery, now based in Tunbridge Wells after starting life as cuckoo brewers in 2012. The men behind P&P are Robin Wright and brewer Sean Ayling. 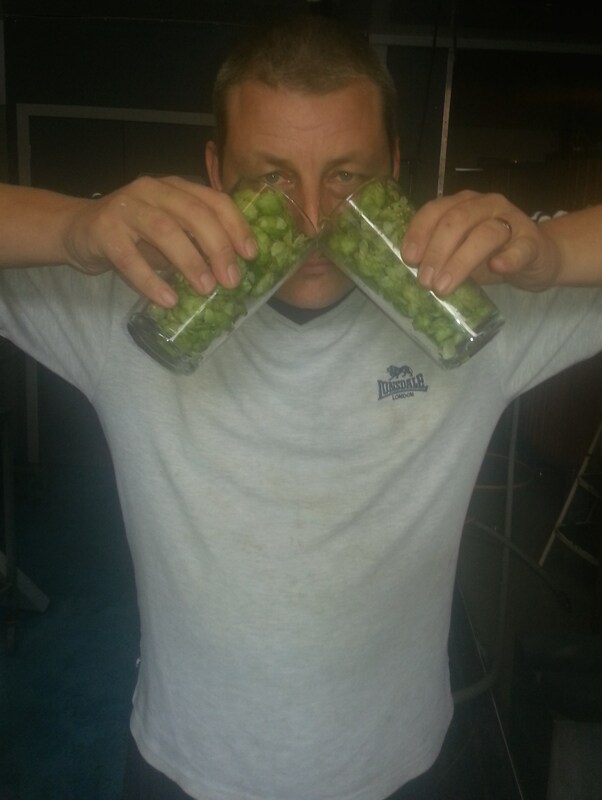 They’re making two beers for KGHBF, both inspired by cult BBC comedy series Blackadder, one is called Purest Green and the other, Strangely Brown. Sean Ayling of Pig & Porter strikes a pose that is in no way camp. 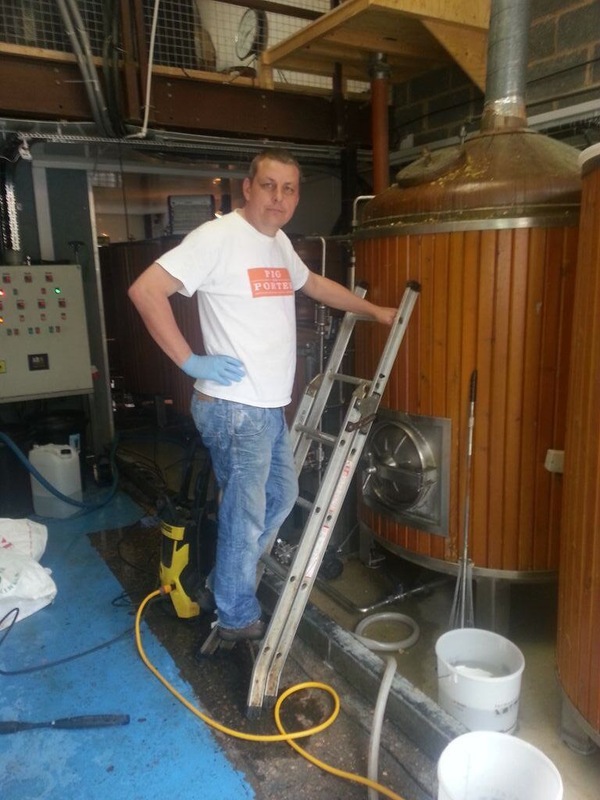 “The day started like a normal brewday but with an extra frisson of excitement as we were not only brewing something new and exciting, but something that can only be brewed at this time of year,” says Sean who says the only comparison for the excitement is when he brews Pig and Porter’s elderflower beer in late spring. 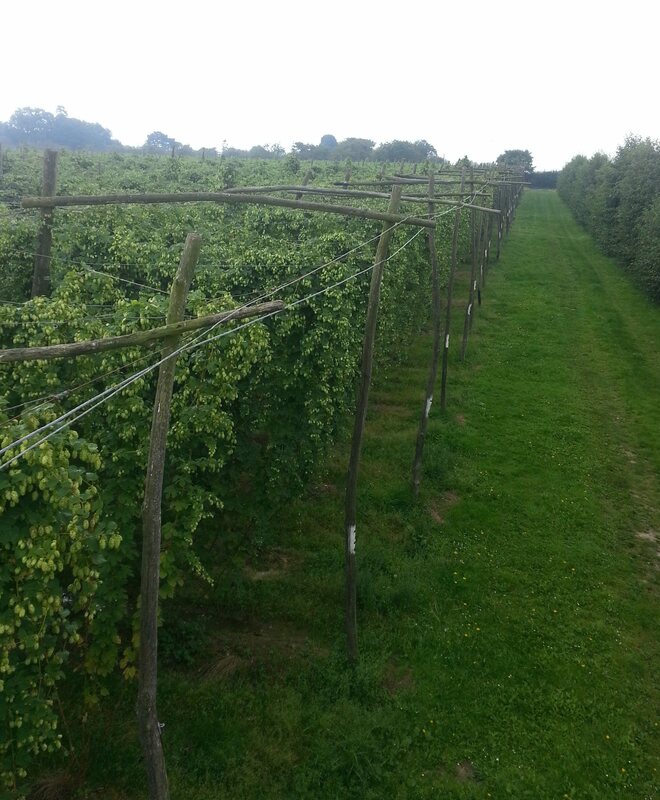 “When the hop farmer rang I was hoping it was to say that our Fuggles had been freshly picked and could be collected by Alastair, a friendly member of East Kent Amateur Brewers. “The hops were ready to be collected – he told me – but they weren’t the variety we asked for because they’d been picked the day before. So our green hop porter called Strangely Brown now features East Kent Goldings. 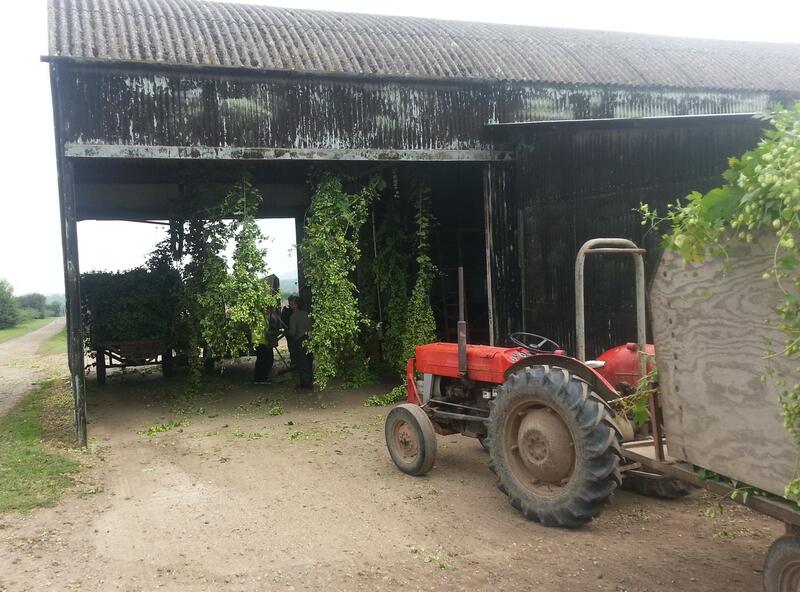 Hops about to be plucked off the bine at Gushmere Court Farm, near Faversham. Good old Mother Nature, eh? Look out for Sean and Robin of Pig and Porter behind the bar at Canterbury F & D festival on Saturday 27th Sept.
Coming soon… we’ll meet another Kent Green Hop brewer AND we’ll find out which pubs are stocking KGHB this year!